High Sensitivity. Low Background. True Results. 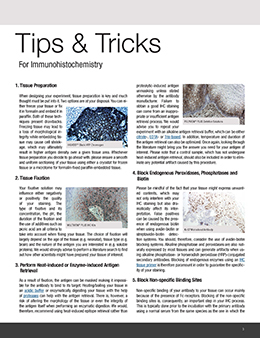 Download our e-book to learn how to improve your IHC staining quality and workflow! We’ll be at NSH 2018 from September 23 - 25 in St. Louis, MO! Stop by Booth #122 to chat about our Immunohistochemistry portfolio and to pick up some awesome gifts. You’ll also be entered for the chance to win a Sonos speaker! © 2018 Enzo Life Sciences, Inc.